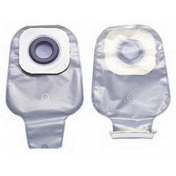 Hollister Karaya 5 Closed Pouch with Porous Paper Tape is an ostomy pouch that protects the skin from stomal discharge and the consequential irritation and inflammation that can occur as a result. 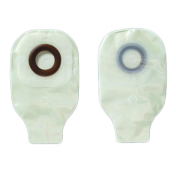 Woven with the natural Karaya material, this ostomy pouch offers flexibility, shallow convexity and is bacteriostatic. 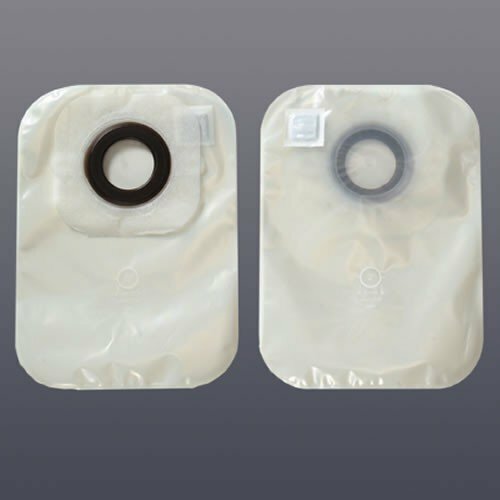 A highly effective deodorizing and venting filter made from activated carbon granules create an optimally secure and confident user experience. Hollister Karaya 5 Closed Pouch with Porous Paper Tape is designed with porous tape to keep skin healthy, breathable and free from irritation. 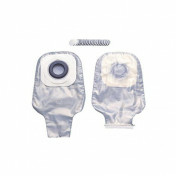 A soft and adhesive skin barrier also helps make this pouch supremely comfortable yet completely sturdy and leak-proof. 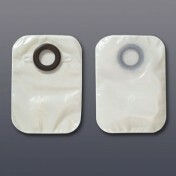 You may also be interested in similar closed ostomy pouch products, such as New Image Pouch 2-piece Closed. Karaya 5 seal ring protects the skin from stomal discharge and inflammation. Natural Karaya offers flexibility, shallow convexity and is bacteriostatic. 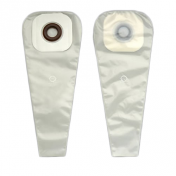 Porous tape allows skin to breathe and keeps skin happy and inflammation-free.